This is my go to cupcake recipe. I have literally been using this recipe for years. If you come to a birthday party for my kids these are the cupcakes you will be served. Years ago my mother-in-law gifted me with this amazing cupcake cookbook called he Cupcakes from the Cake Mix Doctor. Her cupcake recipes are what I would call a semi-homemade, as they start off with a boxed cake mix, and as the name suggests, you doctor it up. I love to pair this recipe with with the Chocolate Buttercream Icing recipe or the regular Homemade Buttercream Icing recipe. Line your muffin pan with cupcake liners. I like to use a medium sized melon-type scooper to fill the cupcake liners 2/3 full. Usually this is one and a half scoops. Bake for approximately 25 minutes. Use a knife or toothpick to ensure the center is done before removing them from the oven. Transfer them to a wire rack where they will cool completely before you ice them. This recipe makes 24 standard size cupcakes. They are dense and incredibly delish! Once cool, ice your cupcake and decorate with a cool cupcake topper like these lego candies, or for an extra treat try cookies on a stick or even embellish with simple figurines and loot as we did for the pirate cupcakes. 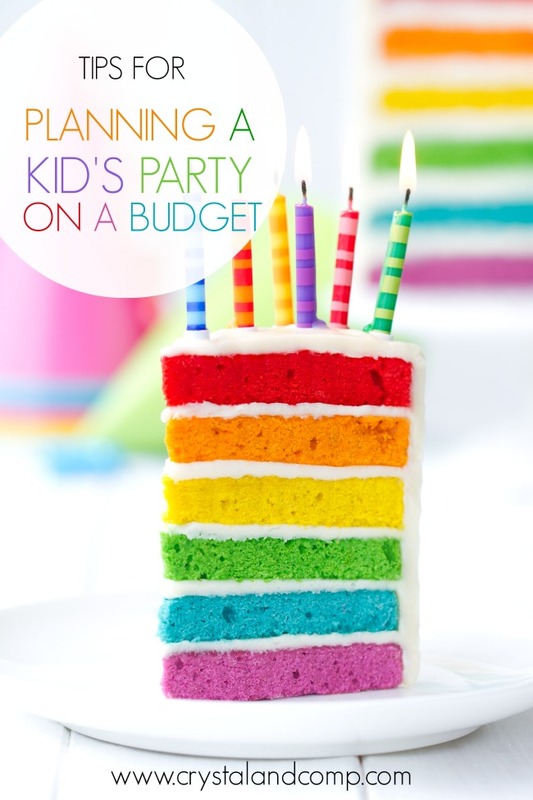 Before the party add a fun candle and you’re sure to have an amazingly fun birthday party. Making the cupcakes for my kids parties is seriously one of my favorite parts of the party. I want them to always remember how much fun we have celebrating them. Just know, once your guests taste these, they will always expect them at every party! They look delicious!! I love dense cupcakes. First – love the new look! 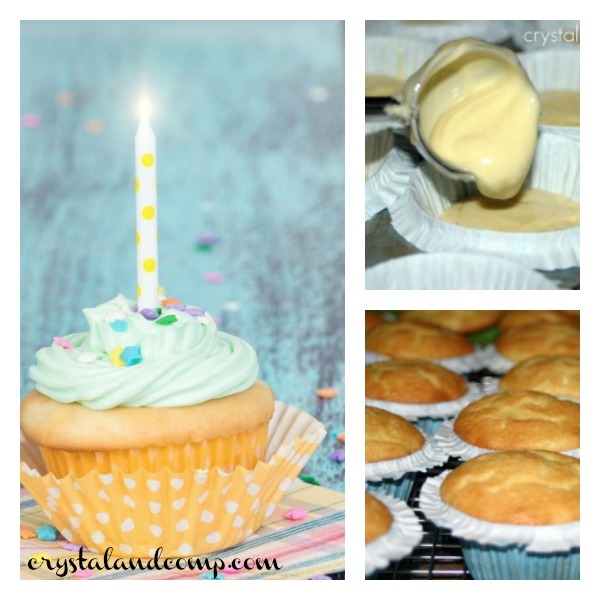 Second – I challenge you to a cupcake off! My cupcake versus yours. Andrea- thanks so much. I really like the new look as well. Cupcake off? You’ve got it. What’s your recipe? an ice cream scoop? ingenious! This sounds like a great recipe, thanks for sharing. 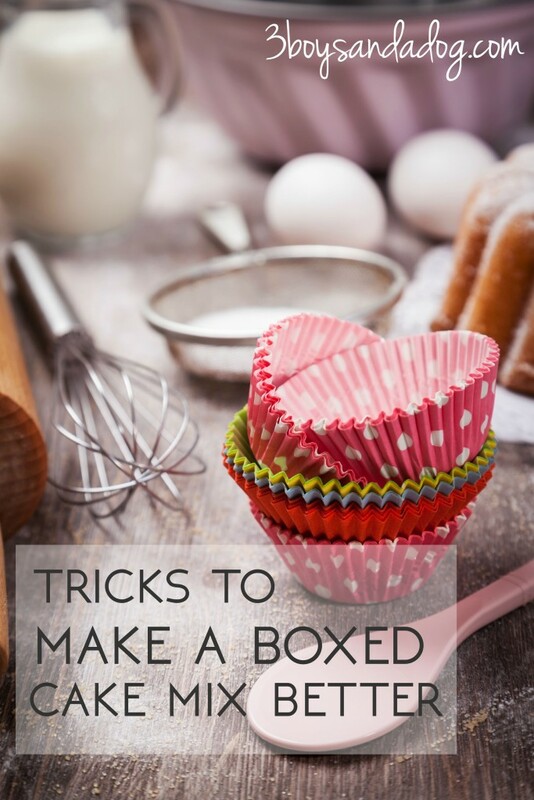 I never thought of doctoring up my box recipe. Thanks! They look yummy, especially the way they puff up when they’re out of the oven. This looks delicious! I’d like to invite you to link it up to my Recipe Exchange! It would be a wonderful addition. Hope to see you there! Regina- the cream cheese makes them so….. wonderful! 🙂 You’ve gotta try it. I’ll be trying this recipe. Thank you! I always just use a box… what a fabulous idea to doctor it up! It sounds (and looks) YUMMY! YUM! 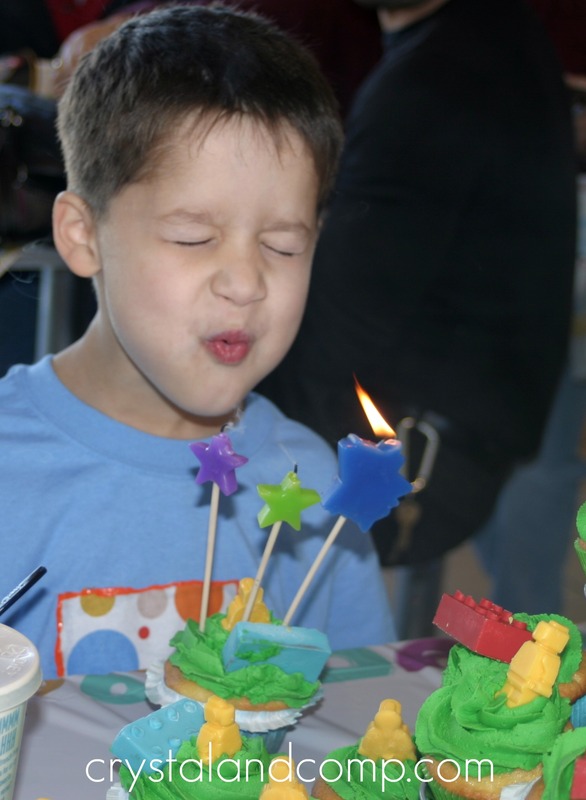 I’m going to have to give these a try for my son’s birthday party this weekend. I will have to try this. It sounds good. Home made cupcakes are the best! I like to make mine with coconut oil ~ so yummy. 🙂 I think I have only bought one cake from a bakery. I was too tired right after having my 3rd baby to be creative with a Lord of the Rings cake. I like to do something different every year. I recently made a flower pot cake for my daughter’s 6th birthday. Turned out so pretty! Home made cupcakes are the best! Thanks for sharing! they sounds delicious! 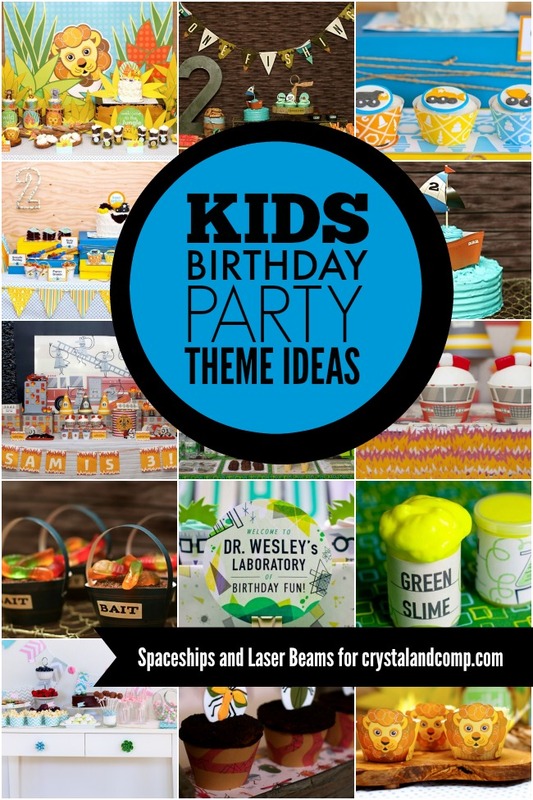 These are so awesome Try them for your next party! Can you use a chocolate cake mix (or any other flavors) or does it need to be butter golden? Also, can you use regular cream cheese (or is reduced fat better)? What kind of oil do you like best for baking? I want to try these for my sister’s birthday this weekend. Thanks! Jenny- I have never tried it, but I bet it would taste just a great. I don’t think it matters if you do low fat or regular cream cheese. Hope your cake comes out lovely! They look delicious!! I’m drooling on my keyboard! That small scooper is a lifesaver! Off to check out your party. Great cupcake recipe, I need that cookbook! Thanks so much for sharing with Full Plate Thursday and have a great weekend! This sounds really yummy! And the pictures are adorable! Delicious! 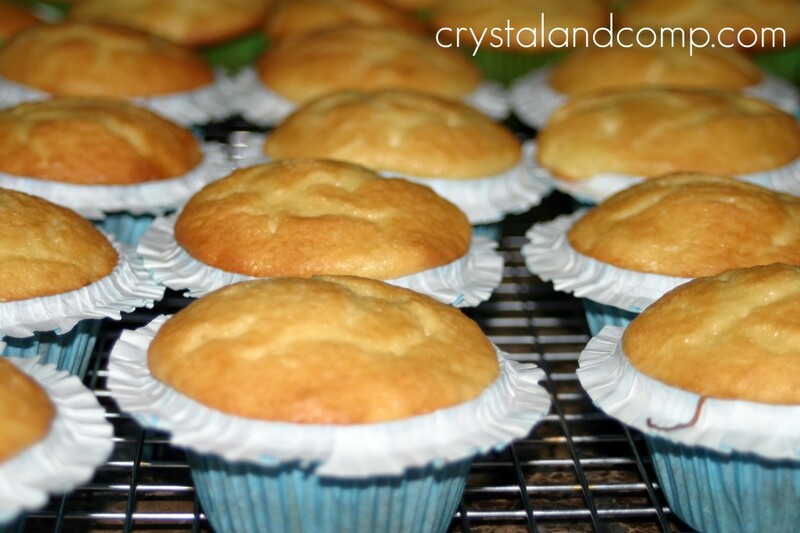 I love a good and easy cupcake recipe for visitors or playgroup. 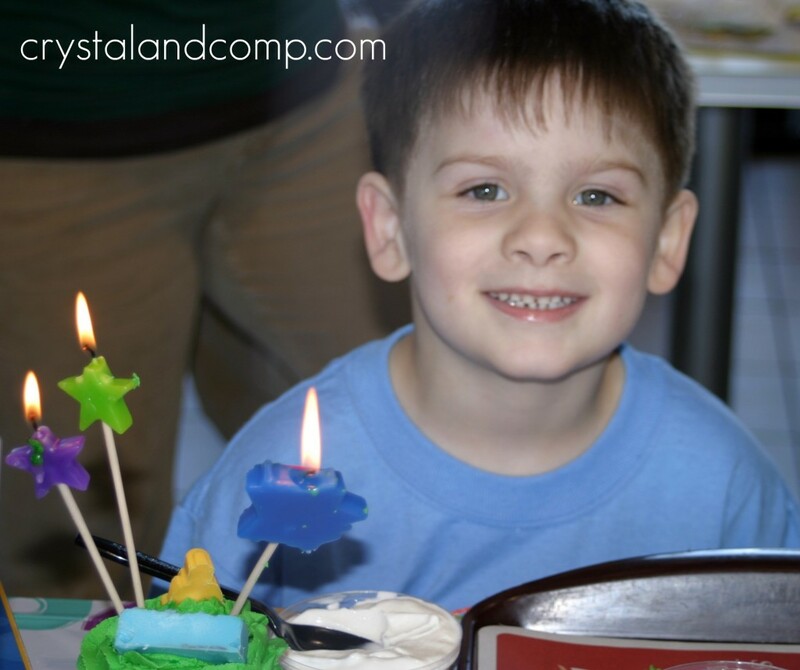 Thanks for linking up on Mummy Mondays, apologies for commenting late! 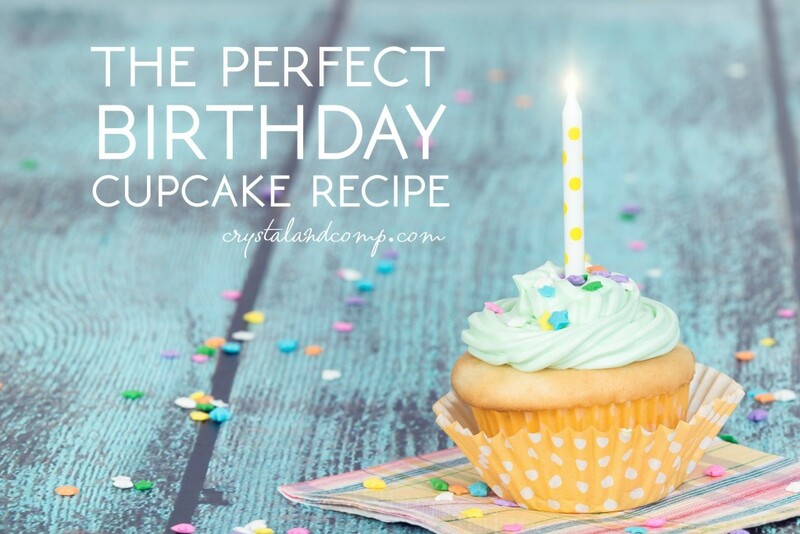 What is your experience with freezing cupcakes when you need to make a very large batch? I am making 250 for a wedding and need to freeze and then decorate them all before the wedding. I decorate cake and freeze my cakes before my crumb coat. Just wondered your thoughts? 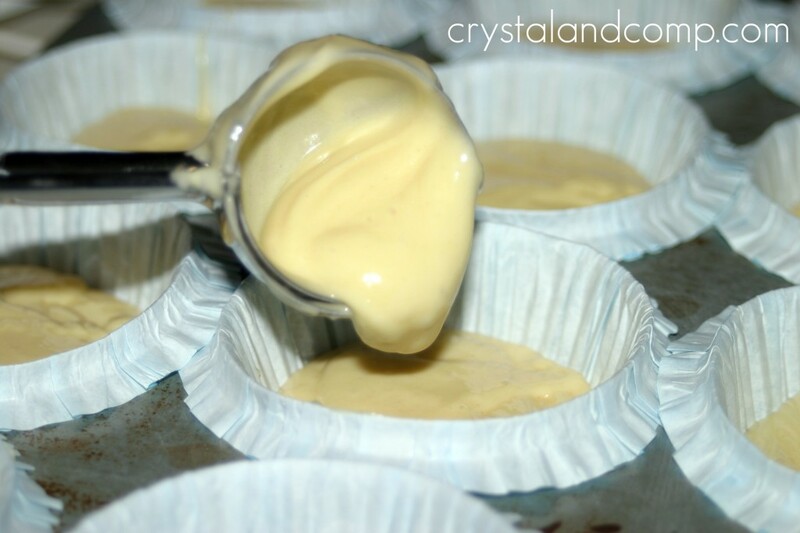 It’s just an awesome method to prepare a cupcake..
My mom used to make a cupcake but without cheese or vegetable oil.. Anyhow thanks very much and keep up the good work. I never thought to add cream cheese to the box mix but it sounds delicious. 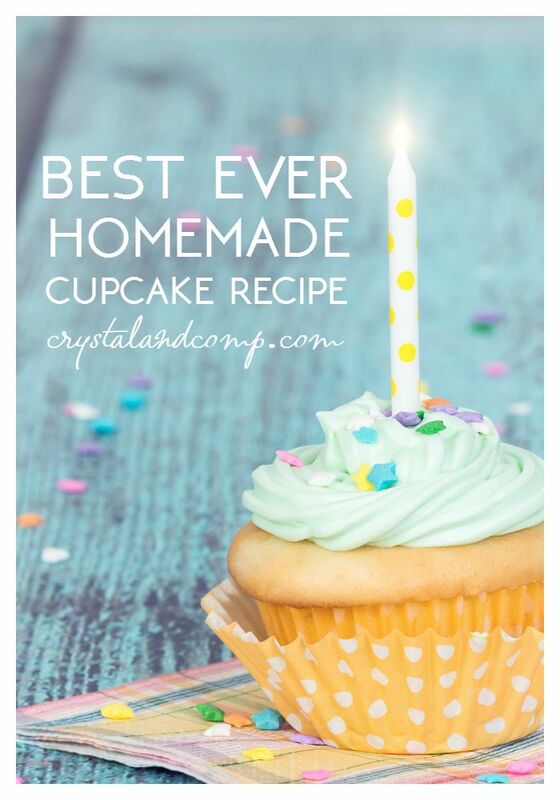 I can’t wait to try your recipe…I’m totally in the mood for cupcakes now!!! Lisa, these cupcakes are seriously amazing!